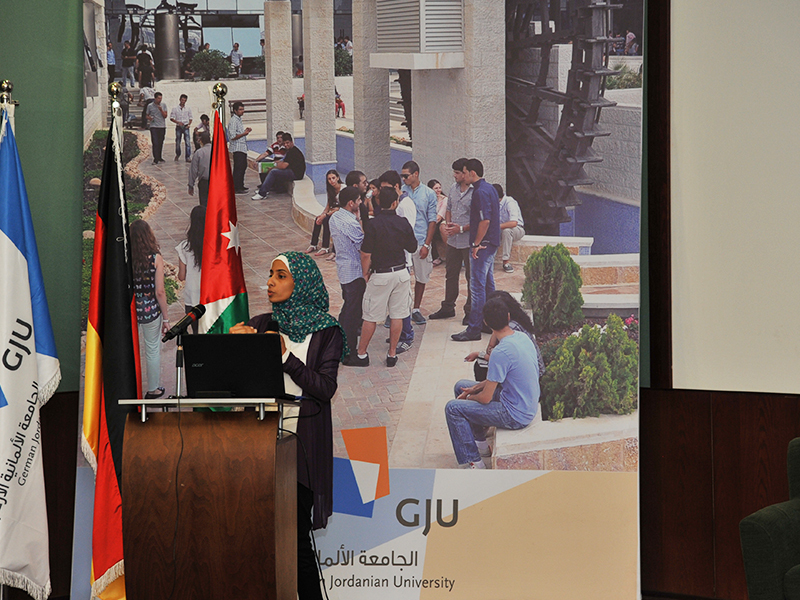 On Sunday, April 7, 2019, Under the patronage of the President of German Jordanian University (GJU) Prof. Manar Fayyad, the Students Satisfaction Survey was launched for the first time in the academic year 2018/2019. 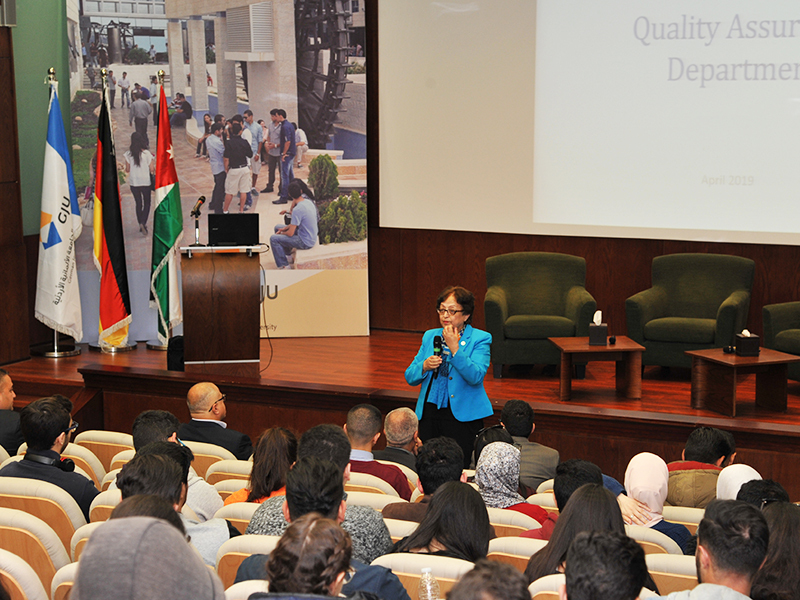 The Quality Assurance and Accreditation Department (QAAD) at the University launched this survey in order to measure the satisfaction of students with the services provided to them during their academic years and to extent their interaction with various activities for the purpose of continuous improvement and development. Fayyad pointed out to the importance of this survey in order to know the strengths points to strengthen them and the weaknesses points to avoid them, this will effect on the reputation of the university. The Director of Quality Assurance and Accreditation Department Dr. Anas Atieh reviewed the achievements made by the university, such as compete with other universities locally and internationally and achieve advanced positions within the classification of (QS) which depends on six pillars: the academic reputation of the university, reputation among the recruitment companies, the percentage of teaching staff members, the number of citations to academic staff members, foreign students and students registered at the university. Acting Head of Quality Assurance Section Eng. Aya AlOfi, said that the survey will be conducted in an anonymous manner without the use of personal information for the sake of privacy. Furthermore, it will only take (10-15) minutes to complete. She stressed on the importance of this survey to continuous improvement and in order to help the university administration to take appropriate decisions based on documented data. 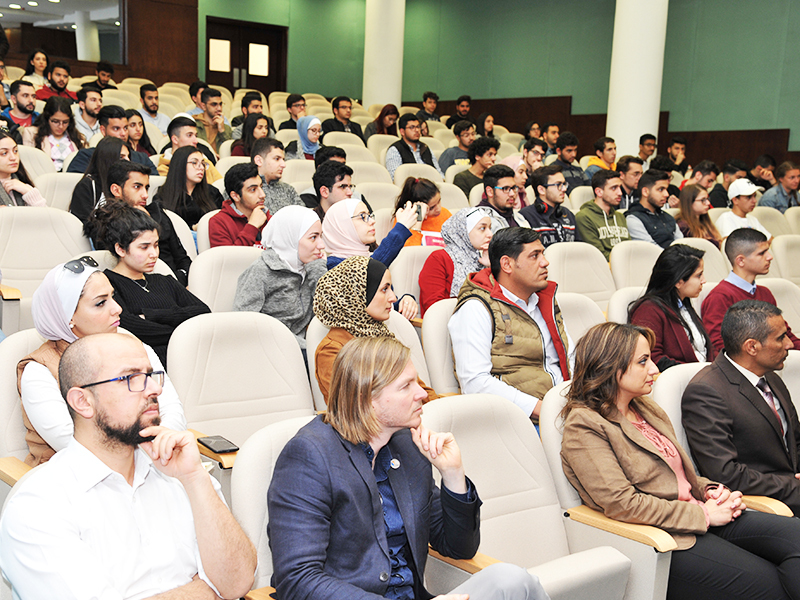 The meeting was attended by Vice President Prof. Atef Kharabsheh, Dean of Student Affairs Dr. Raed Khasawneh, Director of Admissions and Registration Department Dr. Ahmad Barghash and a group of students.